Service design can produce rich insights and compelling innovations. Organizations of all kinds are understandably interested in how service design can help them meet their goals, be these commercial or altruistic. But how easy is this in practice? When the service design mindset runs up against organizational demands, what challenges arise and how can they be managed? Expert panelists from corporate, government and nonprofit sectors explore the tensions involved in implementing service design – and how to deal with them. 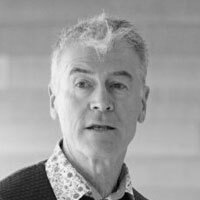 David is an award-winning educator, a published author and a passionate advocate of design thinking. A former executive with Unilever and Young & Rubicam, he completed a Ph.D. at the Rotman School of Management, becoming a professor there in 1998. He is currently Director, MBA Programs at the University of Victoria. In 2016, he received the Gustavson Award of Excellence for Innovation. His book, Design Thinking at Work: How Innovative Organizations Are Embracing Design, has recently been published by University of Toronto Press. His many teaching awards include the 3M National Teaching Fellowship and U of T President’s Teaching Award. An accomplished executive educator and consultant, he has worked with clients throughout the private and public sectors. He is Board Chair of Academics Without Borders, which supports higher education in the developing world. He travels frequently to Kathmandu, Nepal, where he volunteers with a medical school. At InWithForward, Jonas co-leads a team designing, prototyping and implementing new service concepts. This involves new touchpoints, staffing roles, metrics and systems. It often includes addressing processes, policies and practice that are barriers for change. Jonas’ journey began with design research, followed by designing services. Today he also builds teams to design and implement end-to-end experiences. One recent product of this is experience platform Kudoz, SDN Award finalist and Vancouver UX Award winner. Before InWithForward, Jonas worked at London-based agencies Engine Service Design and Participle. As an independent consultant he worked with organizations such as Vodafone, eBay, Sodexo, City of Amsterdam and University College London Hospital. Jonas co-leads a short course in Service Design and regularly teaches at Copenhagen Business School, University of the Arts London and Delft University of Technology – from which he holds a Master’s degree in Industrial Design Engineering. Andrés leads the global Human-Centered Design practice at RBC Wealth Management Technology, and was recently awardedh RBC’s highest level of recognition for enabling teams across the organization with Service Design methods, tools, and mindsets as a new capability. 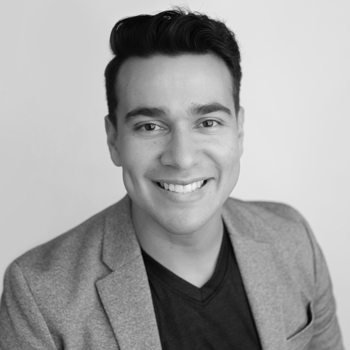 In his 18-year career, Andrés has worked with over 20 top brands across the world and has led business and user experience strategy to design solutions for companies such as Microsoft, JLL, Kellogg's, Toyota, Subaru Canada, Legrand, Kia Motors Canada, Rogers Communications, WIND Mobile, and T.G.I Friday’s. He built design practices for two companies that deliver digital products for Fortune 500 clients, and invented multiple Lean UX methodologies to deliver faster and more meaningful interactive products for multimillion dollar projects. At age 26 Andres founded Pinxelar, one of Colombia’s top interactive agencies in 2005. His company designed and developed over 100 interactive products of all sizes in 10 years for clients around the world. 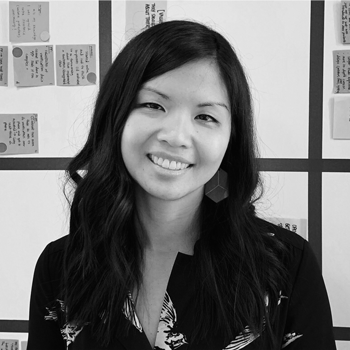 Andrea Chan is a Director of Service Design within CIBC’s Enterprise Process Management team. She leads a team of designers that employ human-centered methods to design and deliver meaningful end-to-end service experiences across many of CIBC’s top client journeys. Andrea started her career as a Process Engineer, where she applied the data-driven Lean Six Sigma methodology to drive impactful process improvements across the bank. She has led strategy development and process design implementations across a diverse portfolio of initiatives at CIBC, ranging from new product launches to the transformation of the retail sales and loan origination platforms. Andrea is a Professional Engineer, Lean Six Sigma Black Belt and stats nerd at heart, who is excited to find new ways of pairing the power of data-driven methodologies with those of service design. She holds a MASc in Applied Statistics and BASc in Engineering Science from the University of Toronto. Chris Govias is a Canadian designer who has spent the past decade in London, UK. He's worked with startups, charities, and Fortune 500 companies including Expedia, where he was a Design Lead. As Head of Design for the Ministry of Justice UK, he was on the forefront of delivering transformative, user-centred government services. He recently returned to Canada to become the first Chief of Design with the Canadian Digital Service, a new initiative from the Government of Canada to deliver simple, easy to use services for all Canadians. Chris’s work on Spacelog.org, which converted scans of NASA transcripts from early space missions into a searchable, accessible, linkable website, won praise from the Huffington Post, the Atlantic, Popular Science, BoingBoing and NPR, to name a few. His work has also appeared in Applied Arts, the Smithsonian Cooper-Hewitt Design Magazine, and Communication Arts.